Ok everyone I am finally getting around to posting one of my custom Christmas Cards!!! They are double sided and printed on a pearl/linen paper! They are soooooo amazing in person!!! 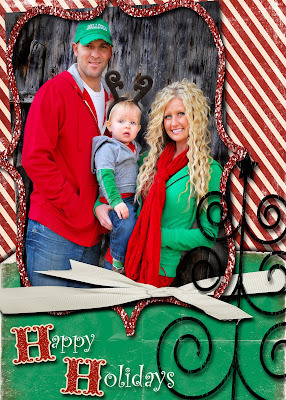 This is a card I designed for my cuz and her adorable little family. If you are interested in cards please contact me and I will let you know pricing! The pricing depends on what size card you are interested in and the amount of cards you want printed!